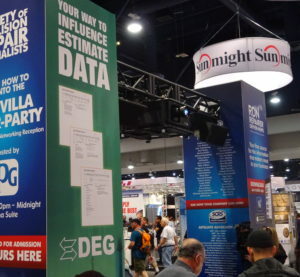 The Database Enhancement Gateway, which allows repairers and insurers to make inquiries and suggestions of the Big 3 estimating providers, was augmented in 2015 to offer weekly tips for repairers on the Audatex, Mitchell and CCC programs online and through the Society of Collision Repair Specialists’ email list. If you haven’t used the service before to submit questions about estimating collision repair work or just browse responses to other carrier and shop questions, check it out. It’s a good — and free — way to find IP best practices and help write the most accurate estimates or appraisals possible. Here’s some areas spotlighted as tip-worthy by DEG. To receive the tips as soon as DEG releases them, like/follow the DEG’s Facebook and Twitter feeds. (It also posts videos to a YouTube channel once in a while.) Or just browse the more than 10,000 inquiries and responses in the database and see what else you learn. The estimating services’ labor times are generally based on installing new, undamaged parts on new, undamaged cars. This might leave shops and insurers without a labor time related to sectioning an individual part. According to a November 2017 tip from the Database Enhancement Gateway, this information might need to be entered manually in CCC. Common sense and best practices dictate that a technician — even one with an automatic welder — perform destructive test welds prior to going to town on the customer’s vehicle. This message was recently driven home by Collision Advice CEO Mike Anderson’s discussion of two of what he said were multiple OEMs requiring the work. Not all replacement parts come with holes for all of the technology that needs such an opening. Not only will a shop have to drill the holes themselves, but they’ll have to manually enter the necessary operations themselves on the estimate. According to a December DEG tip, creating the openings is a not-included procedure in all three estimating services. It quoted all three estimating systems to demonstrate the not-included nature of the work. CCC: “Drilling, modification or fabrication of mounting holes” is among the list of not-included operations. The time necessary to perform this type of operation should be estimated after an on-the-spot evaluation of required procedure. If the “Assembly Line Component” is to be replaced as received, the time required for Full Replacement should be determined after an on-the-spot evaluation of required procedures. It provided an example of a Honda Civic inner that needed to be trimmed at a factory seam. Audatex: What does ‘COMBINATION,FRT SUSP’ overlap mean? “This overlap is in conjunction with another labor value on the repair order,” the DEG continued. Question: Why does the labor report only show minimal labor related to the engine and mounts (Combination Engine) when the engine must be suspended using a special tool? Answer: There are a number of different tools and methods that could be used to support a drivetrain. Each may require different levels of preparation. The Audatex labor allowances do not take into account any special equipment or procedures necessary to prepare the drivetrain to support and only allows the labor to raise and support (Combination Engine) after the engine is prepared for the support tool and any special tools are mounted. Have a question about AudaExplore, Mitchell or CCC? Submit inquiries to the DEG here. Inquiries, like answers, are free.